Is the U.S. headed towards financial doomsday? People concerned about the declining value of the dollar have been asking us how that might affect the value of Bank On Yourself policies. Some have even asked if they can buy policies in other currencies. The frequency with which we’ve been receiving these questions seems to be picking up recently. And I believe the reason for that is the endless parade of financial advice-givers who are all too happy to take your U.S. dollars to tell you why those dollars will be worthless… and why our economy is on an unavoidable collision course with destruction. These merchants of gloom and doom appear to have one goal in common: To so paralyze you with fear that you let them do your thinking for you as you rush to take their advice. I won’t insult your intelligence by doing the same. What I will do is pose some questions designed to help jump start your powers of critical thinking. You see, I’ve been studying the newsletters, videos, and articles churned out by these doomsayers. Some of the information in them is well researched, although the conclusions they draw from it can be a stretch. But the problem is not so much with any facts or statistics they may quote. It’s what they leave out that concerns me. 1. 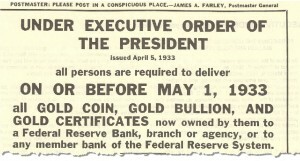 If you buy gold or gold bullion, are you guaranteed that the U.S. government won’t confiscate it, as they did in 1933? If you’ve never seen that executive order, here’s a copy of it – it makes fascinating reading. 2. If you try to store your gold stash in a bank vault in a foreign country in an attempt to get it out of the reach of our government, are you guaranteed that the U.S. won’t force that country to reveal your identity and holdings, as has already happened? 3. If you store your gold, silver or other precious metals offshore, are you guaranteed that country won’t decide to confiscate it? Or that the U.S. might prohibit you from bringing it into the country or levy an enormous tax on you for doing that? 4. What if the dollar becomes so worthless that you have to buy your bread, milk and other essentials with gold or silver? 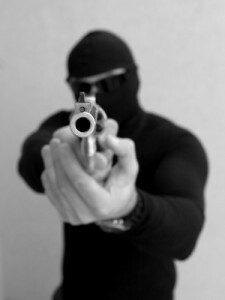 Are you guaranteed that, on your way to the store to exchange your pocketful of precious metals, you won’t be robbed at gunpoint by one of the many marauding gangs who now roam the streets with miniature metal detectors? 5. Are you guaranteed that the value of your precious metals won’t get wiped out if some tycoons who are a lot smarter and more powerful than you decide to manipulate or corner the market? 6. After the gold, silver or other (take your pick) mania ends, as it surely will, are you guaranteed the asset you thought was going to be your hedge won’t plunge in value and not recover for decades? Gold hit a high in 1980, then plunged and did not return to that level until 2006 – a full 26 years later! 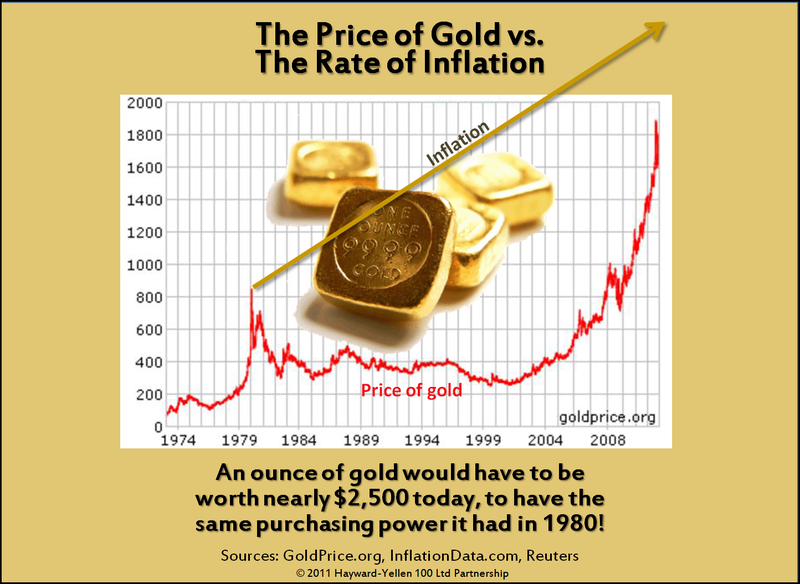 However, on an inflation-adjusted basis, gold would have to be over 2,500 today to have the same purchasing power it did 31 years ago. In spite of gold’s recent meteoric rise, that’s still more than $1,000 an ounce more than where it is today! If history repeats itself – as it has a way of doing – will you be able to hold out for three or more decades for your assets to recover in value if necessary? 7. If you buy other currencies as your defense, are you guaranteed those currencies will remain strong and won’t be manipulated or de-valued by governments or wealthy cartels? This happens every day by governments, both large and small. If you take even a few minutes to think about questions like these, it’s pretty clear that there are many things we simply can’t control or predict. And there are few guarantees. So, if you can’t control or predict the future, what CAN you do? Ask critical questions, use your common sense and trust your gut. The signs are all around us that in the future, we will be able to rely less and less on the government, failing social programs and our employers. The sooner you prepare for this likelihood, the more control you will have over your life and the greater your peace of mind will be. The average American is saving only 5% of their income today. Start bumping that up until you get to at least 15% – and preferably 20%. And do not invest any money you can’t afford to lose or that you might need to live on in the next 20 years. Avoid the trap that many Americans have already fallen back into of spending more, saving less and carrying credit card debt. If you’re unhappy with the direction our country is going, stop bemoaning it and start creating the future you want. The budget cuts that were agreed on in eleventh-hour Congressional negotiations last week represent the biggest annual budget cut in history. It’s not enough, but it’s a start. And it happened because the American people spoke up and made themselves heard. So, write, call or email your Congressional reps today. 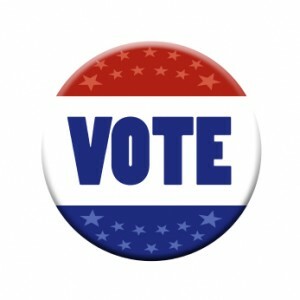 And exercise your right to vote – every vote does count. I believe America’s best days are still ahead. We have faced and overcome enormous challenges in the past. 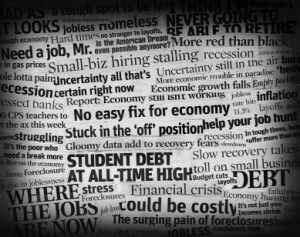 The economic hurdles we face today are daunting, but these will be overcome, too. Because that’s what we do! If we aren’t able to avoid a financial doomsday scenario, all bets may be off. But nothing I have read, heard or researched has changed my conviction that properly designed dividend-paying whole life insurance remains the best place to store your money. It is, after all, an asset class that has increased in value every single year for over 160 years. The Bank On Yourself method has survived and even thrived during every boom and bust and every economic scenario. And while no one knows exactly what the future may hold, that’s a pretty darn good track record. To find out how much your financial picture could improve if you added Bank On Yourself to your financial plan, request a free Analysis. If you’re wondering where you’ll find the funds to start your plan, the Bank On Yourself Authorized Advisors are masters at helping people restructure their finances and free up seed money to fund a plan that will help you reach as many of your goals as possible in the shortest time possible. If you already use Bank On Yourself, contact your Authorized Advisor to determine if adding to your portfolio will help you reach more of your goals and dreams. This is one of the best posts that I have seen in connection with the “US Dollar Crisis”. It is the scarcity mentality that the herd mentality brings that is driving these decisions. It is amazing to me that with all of the amazing benefits that this program has we still have to battle the “deal of the day” and compare it to what ever the herd is chasing at the time. Thank you for bringing up some great questions that every investor should be asking when it comes to buying any investment not just gold! The author of this article doesn’t answer the question asked in the beginning, but proceeds to reveal how far in the sand their head is stuck. The people that are awake are the ones asking that very important question. This country’s government is spending itself into oblivion and it is not sustainable. One reliable source of information on this is the “video” at endofamerica12.com. Sure, they are selling service, but their track record speaks for itself. The US Dollar will fail, soon. Just because it hasn’t happened doesn’t mean it won’t. Ask Bill Gross, Jim Rogers, or other respected leaders in the financial markets. Some of us are investing in metals, because of the wealth cycle that it is in presently. We know we are not going to take a silver eagle and buy a cartoon of milk. Like anything other stock, take advantage of the ride and sell before the bubble burst. I do still think the bank of you concept will work even in hyper-inflation, because we will still have some type of currency and your money will transfer to match the economic conditions. I say don’t rule out precious metals, if you can handle the risk that comes along with it. It should not be your only financial strategy. Like anything else, don’t put all your eggs in one basket. To be honest, any federal law can change our financial plan. What have to do the best we can with the knowledge we have and can acquire. The key is to do something! Universal life will not work for this concept. Universal life is based on a person’s attained age, so the life insurance portion of the policy gets more and more expensive year by year, thus wiping out all your cash value in the later years. Plain vanilla whole life with the “turbo-boost” riders that are put on the policy is the only way to go. Good post as always. I agree Del-Merti that metals is a reasonable place for some portion of your portfolio and since I’m living overseas I’ve opted for ETF’s for that portion – nice run the last the year or so and with trailing stop losses I can mitigate the downside – or cash out the principle and put it in one of our BOY plans. I’ve also watched the cash I have in my Singapore bank account go up by a nice % as the dollar has declined – nice hedge right now versus the falling dollar – but when I come back from Singapore I will move that cash into a BOY plan for sure. I appreciate your enthusiastic view for America’s future, but have my doubts about what it will take to turn things around. The $38B cut was really more like $10B when you look at the accounting gimmickry used to claim it as the “largest cut in history” – they took a huge amount of money that had not and was not going to spent and declared that a savings – I guess it is in budgetary terms, but not in real meaningful cuts. We will see tonight if Obama is serious about dealing w/ the $1.6T deficit and the entitlements which have been off the table. If he is not and the R’s can’t get movement on doing structural changes across the board, I think we are in for a rather lengthy decline in our standard of living as Americans. We may recover in the long run, but like a drug addict going through withdrawal our nation will have to go through a cleansing process from too public and private debt. Enough of a rant, glad I have BOY as part of my overall plan and see it growing more and more each year. All in all, you are trying to sell us something as well. You are selling insurance policies based on hope, rainbows and fairy farts, verses the others selling on doom and gloom. Don’t get me wrong, I like hope and happiness as much as the next person, and don’t want to see our economy collapse, but shouldn’t we also be realistic about what’s going on? Gold might not be the thing to buy right now especially that the prices are so high, stocks can always plummet bringing down even the best indexes. To me there is no difference, except the reality of the outcome. I think some of these arguments against buying gold/silver are somewhat ridiculous. The inflation issue at hand is very real with QE3 right around the corner. 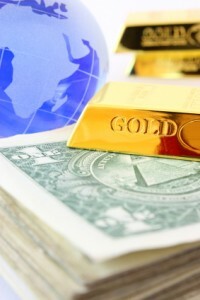 The purpose of buying Gold/Silver is sustaining wealth and understanding the current wealth cycle we are in. The goal should not be to get into Gold/Silver and stay for 30 years and watch it fall and wait for it to rise again. the goal should be to get in and monitor when to get out–utilize it as another asset class to invest and sustain wealth–not a savior. This post is really disappointing as I have been considering the Bank of You concept, but have held off amid inflation concerns and worrying about my money being worthless after investing. this post did nothing, but make me feel that investing in Gold/Silver is exactly what I need to do right now until we get through this period. Lame effort Pamela, unless of course these are the best arguments you can come up with against Gold/Silver? Gangs with tiny metal detectors? If it gets to that point you had better had invested in seed, a portable water purifier, ammunition and weapons. God help us if that is the case. There are plenty of good “arguments” for why dividend-paying whole life from a solid company is an excellent place to store your money. 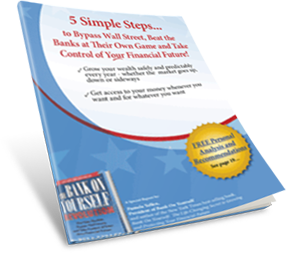 Read why Bank On Yourself is a strategy for any economy. Funny how you didn’t mention what you’ll do if the government confiscates your gold or other metals. They’ve already done that once. And I promise you that if metals become that valuable, finding ways to separate you from them will become a booming business. The idea of the goal being “to get in (to gold/silver) and monitor when to get out” reveals the naiveté of most investors. History has proven time and again that humans are hard-wired to buy and sell at the wrong time. And many will get hurt (again) when these bubbles burst, as all bubbles do. And if you time it wrong, are you prepared to wait 30 years or more for it to recover in value? It’s fascinating how you seem to believe that things that have already happened could not happen again. The whole point of this blog post was to get people to think and weigh the consequences of their actions. Besides, many people do use the cash values of their policies to buy assets of all kinds (including metals), and the policy continues to grow as if you hadn’t touched a dime of it. So if buying gold or silver makes sense to you, why not take advantage of this feature that’s unique to this strategy? Like Scott, I have no problem with the Bank on Yourself concept but I too held back because of concerns that the life insurance policy is based on the US Dollar. The problem with Pamela’s argument is that she is basing it on the assumption that the status quo is going to continue and that this whole gold/silver fever is just another bubble ready to pop. The other assumption that Pam is making is that people are investing in gold and silver for investment purposes. I’m not buying gold and silver for investment purposes. I’m buying gold and silver for wealth preservation purposes. I have zero faith in a fiat currency (US Dollars) that is going to collapse. 1. I am not assuming people are investing in precious metals just for investment purposes. 2. All bubbles pop – if not sooner, then they pop later. And many people get hurt by them. You don’t have to look very far into the past to see the overwhelming evidence of this. Start with the real estate bubble, before that the tech stock bubble, and just keep going back until the beginning of time. 3. Since you claim to be 100% certain of what the future holds, I’m wondering if you’re reading tarot cards to ascertain this all, or do you use a crystal ball? 4. You, too, missed the entire point of this blog post. Most people did not turn in their Gold. You can also store precious metals abroad. You also assume that future customers who want to invest in metals don’t know wealth cycles. We personally pay good money to get information from people who know what they are doing. We prepare now, so we don’t panic in the future. The people who are ignorant about our economy will be the panic buyers and sellers. Also, laws on insurance policies can change. Just because they have in the past does not mean they won’t. Like I said before, we must make decisions based the information we have. Part of our portfolio strategy is a hedge against the falling dollar. It just makes sense. Another part of our strategy is infinite banking. Why would degrade potential customers by saying they don’t know what they are doing when they buy metals? Some money is better then none. We are in the application process with your company. If my husband saw your post, he would have gone to another company(we do have a backup). I am giving you the benefit of the doubt and proceeding anyway. We are about to lay down a ton of cash in this process. We have taken a lot of time to plan our financial strategy. Please don’t assume I am financially ignorant. Algai ‘D’ Aman is among many who need to study a bit (or a lot) of history. They will learn that, during the Great Depression, it was Solid insurance companies (mostly mutuals) who bailed out the banks. People with good whole life products were able to maintain their insurance through dividends (yes, paid even then) and borrow cash for food and rent to see them through the darkest days. They could then replenish the funds later. Those without had nothing left to draw from (unless it was in a tin box in the basement or attic) Those who had “bought term to invest the rest” didn’t have the investment, the rest or the funds to continue their insurance in many cases. Read and learn. Pay attention to the full concept and strategy. Algai ‘D’ Aman, you’ve obviously not read the book nor comprehended the strategy. Those with proper whole life plans never lose- ever! Live, die, become disabled, or quit- the plan always returns if established properly. Thanks, Pamela. As a former Army helicopter pilot I say don’t panic in an emergency. Keep flying as long as you can. The previous is mostly a metaphor for what I see. I’ve heard the doom and gloom also, but it seems to me that your points are well made. Think about what is going on around us and risk manage the alternatives. Ask what if this happens or what if that happens and apply a little logic and reason. The answers may not reveal what to do but what not to do. I don’t like the idea of using the policy loan on paper investments. If they lose 100% in value, guess what ? You’d still have that policy loan to repay. Just b/c the govt confiscated gold before, What are the odds that’s happening again? The rich, including politicians, wouldn’t want that. I see no problem in buying gold as long as you can physically touch them. Gold may lose some value but it’s been around longer than even whole life insurance, so it can’t go to zero. I am still left wondering what happens to my BOY policy I am considering when we start to see real inflation rates rising. I realize we have some history to draw off if rates rise to the low teens. My question is if inflation rises to the 50s, 100s or higher as has happened in other countries when the currency began to collapse. A real response would be great as most other forums are very biased against BOY to begin with that I don’t feel I am getting straight info. I encourage you to read the blog post above again, Coury. There are no absolute guarantees if everything falls apart. But I do know that dividend-paying whole life has survived and thrived in every economic scenario so far. I also encourage you to get active and make your voice heard if you are concerned about the direction our country is going. We each have the power to affect change. LOL…my my my…I have not read this blog…but ill post for any future reader. I myself am a bit of a realist…some pessimist might see this as optimism, but I just see some numbers. Zimbabwe is a 4Billion dollar GDP economy…We are slightly bigger than that (read sarcasm) our debt to Production…or should I say debt to GDP is barely under 100%, while other nations are way worse…(read Japan…or EU nations). Before we get that far as to print, we could see 10 to 14% interest again like the 70’s or 80’s…Which by the way most insurance is tied to things like bonds or real estate holdings (conservative types not quick flip voodoo). Pamela, I’d like to thank you for your insight and though provoking take. I’d also like to offer my reaction to this thread. The tone of the blog post is essentially “anyone who proposes buying gold or metals as protection against a dollar crash is out to scare you into blindly following them for their gain” and it comes off sounding like everyone buys gold as their only investment. You ask several times if we’re GUARANTEED not to lose our gold to confiscation or theft or whatever. Of course we’re not GUARANTEED those things anymore than a BOY plan is GURANTEED to be a winner. Consider the very real scenario of high inflation, debt default and widespread unemployment. How is a person faced with depression era level unemployment going to be able to make minimum premium payments and keep his BOY policy from lapsing? Every sample policy I’ve seen shows a “GUARANTEED cash value” that is significantly less than what was paid in i.e. guaranteed LOSS if the policy is surrendered. So are we GUARANTEED to profit from a BOY plan?? Of course not. That argument against gold is specious at best. 10 years ago I had faith I’d be employed well into my 70s. Today I have little faith of that. How can I faithfully invest in a plan that requires me to have a means to keep my premiums up in order to profit when I have little faith in that means existing long enough to succeed? But dividend-paying whole life has survived and thrived for more than 160 years without a hitch or hiccup – including some very tough economic times like the Great Depression. It’s not a get rich quick strategy, as I often point out. It starts slow and grows and at an ever-increasing rate – with no luck, skill or guesswork required. We are an immediate gratification society, always looking for ways to bump up our returns, which requires taking on more risk. The consequences of that have been disastrous. This article was designed to point out the historical data on investments people are blindly jumping into. If you want to take that risk, fine. But at least be aware of what you’re getting into and the history behind it, first! One more point – unlike traditionally designed whole life policies, Bank On Yourself-type policies are structured to give you a great deal of flexibility in scaling back your premiums if you hit a rough patch. Won’t “roaming gangs of theives with metal detectors” reliable pick people carrying guns? (they set off metal detectors). It sounds like a very good way of getting ride of theives! One thing you never seem to address or face up to is how gold holds its spending power…..you can gain all you want in fiat dollars through BOY or whatever means but what is it really worth as the dollar keeps losing purchasing power??? I have a BOY policy and love it. I want to diversify risk by acquiring additional policies outside the US, denominated in other currencies. Same reason for maintaining an offshore bank account – not doomsday, just prudence. Having all your assets in the same country where you live is riskier than having them diversified in several. Is it possible to acquire offshore policies? How would one find a reputable company to work with? Sorry – can’t help you there. Most countries don’t have these turbo-charged policies and their tax laws differ greatly. Currencies ALWAYS have risks associated with them and governments can and do manipulate them. I know – I lost a bunch of money buying Swiss Francs years ago, before I figured all this out. Thank you for articulating what was on my mind with regard to the graph. If the price of gold matched the graph, then gold would only buy the same amount as that many dollars. As the price of gold is below the rate of inflation, it can purchase more for the same quantity of gold as it could years ago. I have supported and encouraged legislators to move to a precious metal standard for our dollar so that we eliminate this variance caused by by adding more and more fiat currency into the system, thereby increasing inflation and decreasing the purchasing power of the dollar. In looking at your WL form for 17 years, your year-over-year return was about 3.3%. On average, that is better than what we can get at a bank at this time, even for long-term CDs. Should our government increase interest rates again instead of the dismal amount they have now, I am sure that a BOY plan would also increase in interest. The best plans are for a person to identify what works best for them and their budget and to assess the risks involved. Start doing something. It may be identifying what they can put back in a savings account and not touch for a period of time just to make sure they can consistently make payments to something like this in the amount they would like to do. It may be purchasing junk silver. I do wonder of a situation that occurs to many – long-term health issues and the ability to make payments on a WL plan in keeping it functional. I would hate to pay $5000 per year into a plan and then have Alzheimer’s or some other debilitating circumstance that putting me in a nursing home that may cost so much that my spouse could not keep up payments and having those payments that had been made only continue to make “payments” to keep the policy funded until the cash value of the fund runs dry leaving me with no death benefit at all and $100,000 – $150,000 worth of money put into the WL investment. I am not completely clear on the cash value of the BOY WL plan. Can the cash value be withdrawn and the policy cancelled in the event of a catastrophic illness? You are correct – historically the dividends of whole life policies have risen and fallen as interest rates do. And the longer you keep a policy, the more efficient the growth. One of the many features of a whole life policy is how flexible they are. With a Bank On Yourself-type policy, much of the premium is optional, so you can dial back on it. Plus, you can also take a policy “paid up,” which means no more premiums are due. And that’s just a few of the ways these policies are flexible. That’s another advantage of working with a Bank On Yourself Authorized Advisor. They can work with their clients on an on-going basis to make adjustments as needed. I am just now looking into all of this so I may not understand enough to know…but Tammy said that you were only making 3.3% year over year for the last 17 years in an example of one of your WL policies. If this is true, why does the website seem to insinuate that we can expect to get a 7 to 8% return on a WL policy? Joe – I did not verify Tammy’s calculation – it may or may not be correct. But I note on that particular policy that it was started BEFORE I learned about the kind of turbo-charged policies used for Bank On Yourself. That policy did not include the riders that make your cash value grow up to 40 times faster (especially in the early years of the policy) than the policies that most financial gurus like Suze Orman and Dave Ramsey discuss. So I stand by my statement that you’d have to get a 7-8% return (long-term) in a taxable or tax-deferred account to equal what you get in a properly designed Bank On Yourself policy. Before taking taxes into account, the “internal rate of return” of these policies my run 4.5-6% now – as dividends are at historic lows. As noted, as interest rates (and inflation) increase, life insurance dividends historically have followed. Is there any way to convert or transfer an existing policy into a BOY policy? My wife and I bought a policy years ago in a trust specifically created to be able to pay estate taxes when we die. I haven’t seen any mention of that use on the website, though it may be addressed in the book (which I haven’t read yet, but will soon). Yes, it may be possible to do this, but you’d want to speak to one of the Bank On Yourself Authorized Advisors to determine if it’s advisable to do this in this situation. To get a referral to an Authorized Advisor, request your FREE Analysis here.